First I have a winner to announce. BBS Used Book Buyers you have won a copy of Jana Oliver’s The Demon Trapper’s Daughter. Please email me to claim your prize. There’s still time to win God Save the Queen by Kate Locke. When I started writing steampunk, I found I had to do a lot more research than I realised. Now, research is a great way to put off actual writing, and it can also be fascinating. As I trawled through the internet I stumbled upon some intriguing tidbits which I’d never known about. Take the steam engine, for example. From my school days eons ago I assumed that the steam engine was invented around the turn of the eighteenth century by a Scottish engineer. 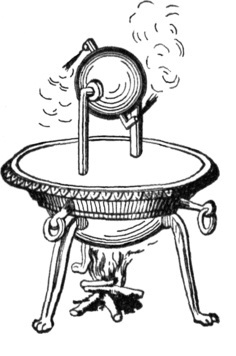 Turns out an ancient Greek is credited with inventing the world’s first steam engine. Hero of Alexandria lived in the 1st century AD. He built the aeolipile, a steam-powered turbine. The aeolipile consists of a sphere which can rotate on its axis and has nozzles bent in opposite directions. Water is heated, either inside the sphere or in a boiler below, and the resulting steam shoots out the nozzles, which creates torque and drives the sphere which then starts rotating. It’s not known whether Hero’s aeolipile was put to any practical use, or whether it was just an interesting curiosity, but it’s definitely a steam engine. The aeolipile wasn’t Hero’s only invention. He also created automatons which he used to mount a fully automated play complete with special effects like fire and thunder. He also invented a vending machine which dispensed holy water when a user deposited a coin into a slot! This man was seriously gifted. “BREAKFAST.––Three quarters of a pint of coffee, four ounces of bread, one ounce of butter, two eggs, or four ounces of meat, or four ounces of fish. “LUNCH.––Two ounces of bread, two ounces of meat, or poultry, or game, two ounces of vegetables, and a half pint of beer, or a glass of wine. It’s also interesting to note the huge variety of food that was eaten in those times. They ate pigeons, partridges, grouse, plovers, teals, peacocks, deer, eels, turtle, hares, and a huge variety of fish. Soyer was one of the most celebrated cooks in Victorian England. During the Great Irish Famine of 1847 he invented a soup kitchen in Dublin which dispensed soup for free to thousands of starving poor people. 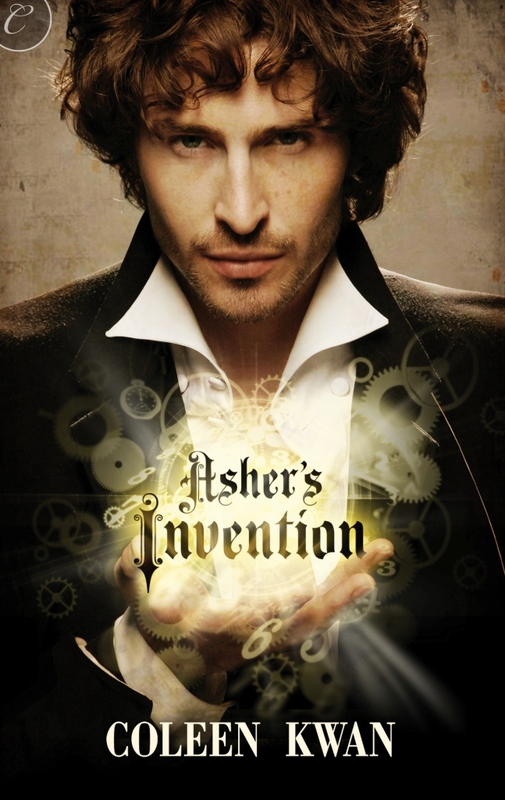 So, a Greek inventor and a famous chef — just two of the interesting tidbits I uncovered during the writing of my first steampunk romance.